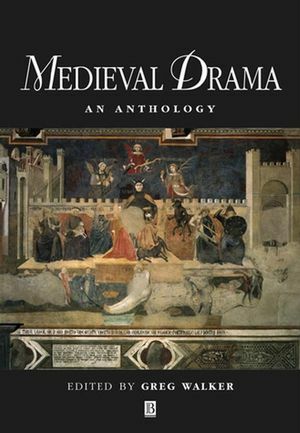 This comprehensive anthology brings together a diverse collection of dramatic writing from the late fourteenth century to the onset of the Renaissance. The volume presents for the first time the key plays of the period in their entirety, alongside more unusual selections, covering religious narrative, religion and conscience, and politics and morality. The first section focuses on Biblical plays, including coherent sequences of the narrative Cycle plays from York and N-Town and supporting pageants from Chester and Wakefield. This approach allows a clear narrative line to develop, and permits the comparison of the treatment of key stories between the Cycles. The selected material demonstrates how the drama of the towns and cities of East Anglia and the North of England mediated religious culture to a heterodox urban audience, and explored biblical events in an intensely contemporary setting. In the second and third sections, the attention turns to secular drama, and the Moral Plays and Interludes. The featured texts illustrate the range of themes and issues covered, from the salvation of the individual human soul to the renovation of the political nation, and the variety of settings and audiences for which the plays were designed. The flexibility of the Interlude form is explored, as are the ways in which it was utilised by playwrights and their patrons to address issues of direct political and social concern to them and their audiences. 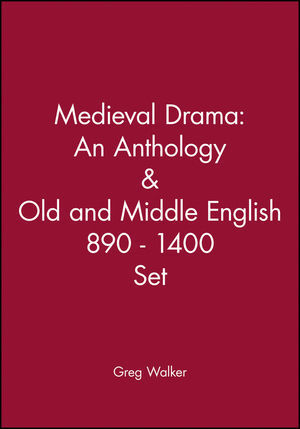 Medieval Drama: An Anthology is an indispensable guide to the breadth and depth of dramatic activity in medieval Britain. Greg Walker is Professor of Early Modern Literature and Culture at the University of Leicester. His previous publications include John Skelton and the Politics of the 1520s (1998), Plays of Persuasion: Drama and Politics at the Court of Henry VIII (1991), Persuasive Fictions: Factions, Faith and Political Culture in the Reign of Henry VIII (1996), and The Politics of Performance in Early-Renaissance Drama (1998). Part I: Religious Narrative: The Biblical Plays:. 2. Map of the City of York. 3. The York Ordo Paginarum. 4. York (The Barkers), The Fall of the Angels. 5. Chester (The Tanners), The Fall of Lucifer. 6. York (The Coopers), The Fall of Man. 7. Chester (The Drapers), Adam and Eve. 8. York (The Pewterers and Founders), Joseph's Trouble About Mary. 9. York (The Tilethatchers), The Nativity. 10. Towneley, The Second Shepherds' Play. 11. Chester (The Paynters and Glaziers), The Shepherds. 12. York (The Skinners), The Entry into Jerusalem. 13. York (The Cuttlers), The Conspiracy. 14. York (The Bowers and Fletchers), Christ Before Annas and Caiaphas. 15. York (The Tapiters and Couchers), Christ Before Pilate I: The Dream of Pilate's Wife. 16. York (The Litsters), Christ Before Herod. 17. York (The Tilemakers), Christ Before Pilate II: The Judgement. 18. York (The Pinners), The Crucifixion. 19. York (The Saddlers), The Harrowing of Hell. 20. York (The Carpenters), The Resurrection. 21. York, The Mercers' Indenture (1433). 22. York (The Mercers), The Last Judgement. 23. N-Town, The Mary Play. 24. The Treatise of Miraclis Pleyinge (extracts). Matthew Hutton's Letter to the Mayor and Council of York (1567). Part II: Religion and Conscience: The Moral Plays:. 26. Croxton, The Play of the Sacrament. Part III: Politics and Morality: The Interludes:. 31. Henry Medwall, Fulgens and Lucres. 34. John Heywood, The Four PP. 35. John Heywood, The Play of the Weather. 36. John Bale, John Baptystes Preachynge. 37. John Bale, The Three Laws. 38. Sir David Lindsay, Ane Satyre of The Thrie Estaitis:. 39. The Description of the 1540 Interlude. 40. The Thrie Estaitis (The 1552-54 text). Glossary of Common Hard Words. "A marvellous collection of dramatic texts from the late fourteenth century to the beginnings of the Renaissance in the British Isles. In this remarkably comprehensive collection we have the entire texts of the key plays of the period, including some less usual works. A few period illustrations, maps and a street plan help set the scene. The whole exemplary apparatus is worn lightly, all helping to encourage reading and acting. Glossaries of terms and notes sit unobtrusively at the foot of the page, immediately available to help the reader. He [Walker] specifically arranges his anthology to allow, and encourage, the plays to speak for themselves: wide-ranging selection, concise informative introduction to each work, notes and glossaries.